Warning! If you have a swarm of bees that are threatening the safety of you, your family or your neighbors, don’t hesitate – call your Santa Fe Springs bee removal experts at Bee Busters! Santa Fe Springs offers many parks, recreation areas and historic sites for visitors and residents to enjoy. One of the interesting attractions in the area is the Clarke Estate, which was once the home of Chauncey and Marie Rankin Clarke. This prominent, wealthy couple had the famous architect, Irving Gill, build their lovely home, which lies on 60 beautiful acres in Santa Fe Springs, including stunning citrus groves. The estate has been restored and today it is a popular spot for special events like weddings, wedding receptions and other events. The stunning grounds are perfect for wedding photos, although some individuals visit just to stroll through the beautiful estate. The city is well known for its citrus groves and in the past, bees have been known to inhabit those groves. 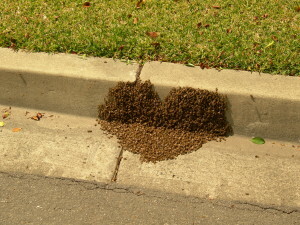 Unfortunately, the bees often end up in residential areas or around businesses as well, which can quickly become a problem. If you notice a lot of bees in your area, it may be time to contact a Santa Fe Springs bee removal service. Removing the bees can help prevent bee stings, as well as structural damage to buildings. Since bee hive removal can definitely be tricky, it is important to hire a professional to take care of the job for you. The good news is that Bee Busters, Inc. is a local Santa Fe Springs bee removal service provider that has experts with the training needed to take care of your problems with bees, wasps and yellow jackets. Bee Busters, Inc. provides a number of helpful services, which may come in handy if you are dealing with a bee, wasp or yellow jacket problem around your home or business. Here are several of the services we offered. Santa Fe Springs Bee Removal – Bee Busters offers bee removal, helping to eliminate bees, whether you have a problem with a swarm or an entire colony. We will not only remove the bees, but the honeycombs as well, ensuring that other bees do not come back again. Our services also deal with repairs of affected areas and technicians can offer prevention ideas to be implemented too. Santa Fe Springs Beekeeping – Since we have technicians with beekeeping experience, we can offer some great advice for individuals who want to begin keeping bees as a hobby. Our company is also a member of the Orange County Beekeepers Association. If you want to become a bee keeper, we can offer some advice and instruction. 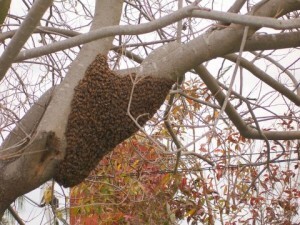 Don’t let bees, yellow jackets or wasps become a problem around your home or business. Make sure you call in the professionals to deal with the problem. 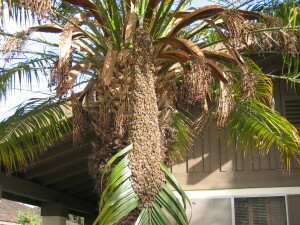 Our Santa Fe Springs bee removal team can take care of the problem quickly and affordably. To learn more about our services give us a call by dialing 949-497-6264. Call your Santa Fe Springs Bee Removal Experts Today!